Hi all! 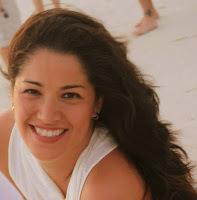 Today I get to welcome the amazing Tanya Miranda to my blog, where she talks about writing dialogue well. Take it away, Tanya. #1 – Read your Dialogue out loud. You have to feel the words coming out of your mouth in order to know if they sound real, if they sound like something an actual person would say. Say it as the scene requires it. If it’s an argument, raise your volume and sharpen your tone. If it’s gossip, whisper. If you are exasperated, change your inflection to match the range of emotion. You might change the dialogue as you speak, to feel more natural to the character and situation. Follow your instinct on this. Throw the grammar book out the window since most humans don’t follow strict technical rules when speaking in real life. Unless, of course, you are writing dialogue for an English professor character – then you’re grammar has to be top notch! #2 – Act out the scene. In addition to speaking the words, act out the scene. For example, in a fight scene, pretend the aggressor is about to throw a punch and duck to avoid getting hit. Stagger backwards as if you’ve lost your balance. Will you say, “James, I was only kidding.” or will you say, “For the love of Christ, James, I was only kidding!” Placing yourself at the scene (by pretending) will make the dialogue explode. Sometimes, you will find that your dialogue doesn’t work as you physically speak and act out the scene. Those clever line might not fit the adrenaline pumping through your veins as you imagine being punched in the face. It happens. It’s alright to delete a scene altogether if it doesn’t work, or rewrite it completely so that it feels realistic. That is why we’re doing these exercises. #3 – Use body language beats. Don’t forget that people speak volumes with their body language. Reciting dialogue and acting out a scene will help define the body language accompanying the words. Hands hooked into hips, long eye rolls, shrugging shoulders, rubbing your eyes… use these body language beats in place of dialogue tags to add to the emotion. Is he preparing to fight back? Is he on the defense? You’ve added a layer of detail to the scene by including the character’s body language in place of the dialogue tag, and the reader still knows who is speaking. #4 – Keep Dialogue tags simple. Some writers are obsessed with too much usage of dialogue tags. The word “said” is one of those “invisible” words readers don’t notice, until you add an adverb or a description. Too much “she said excitedly” or “he said with anger” distracts the reader from the actual words the characters are saying. When you find these, remove the adverb or description altogether and return the dialogue tag to its simplest form. In addition, either rewrite the dialogue or add body language beats that will help the reader feel the emotion. “He proposed to her?” Karen said in a shocked tone. “He proposed to her?” Karen’s jaw dropped open. “There is no way he proposed to her!” Karen said. You barely even noticed the word “said” there, right? That’s because the dialogue is rich with emotion. You want your readers to feel Karen’s shock in the beats and dialogue. You don’t want to tell your readers she was shocked. Some people, uh, naturally speak with, er, these pauses, but, um, reading them is annoying. You may think it sounds realistic, and maybe it does, but … doesn’t it sound annoying in real life? Just like it turns people off when they listen to this type of speech, it’s likely to turn people off when they read it. There are a few exceptions, like when it gives away an emotional shift that is different than the normal tone of the character, or it is triggered by an event and may last for a scene or two. If you need to use it, use it sparingly, unless you want to create an annoying character. Also, some writers use these to indicate a level of shyness or embarrassment in the character. I find that using body language beats to portray these traits is a better avenue to take. It’s cleaner and gives more information about how Eric feels while speaking. Also, if Eric has to tell another person his girlfriend dumped him for Kile, you can use a different beat to show off his shame instead of saying the same thing again with an “er” or an “um”. Tanya writes fantasy, sci-fi and a little romance. She loves running 5Ks though Braddock Park in North Bergen and playing softball and soccer with her kids. If you give her some Godiva, she’ll be your best friend. 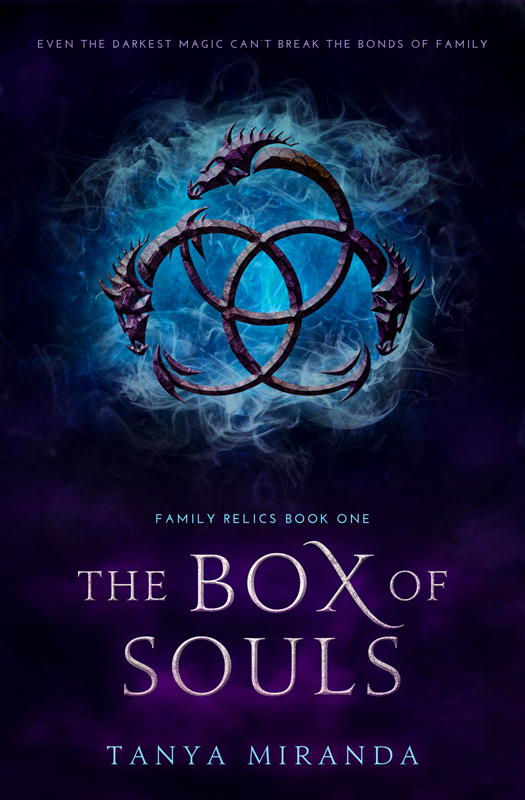 Check out her latest release, The Box Of Souls, below! Even the darkest magic can’t break the bonds of family. 18-year-old Jasmyn secretly resents her family’s preference for her 8-year-old sister Katarina. Her jealousy grows when her grandmother, a dying witch, overlooks Jasmyn and chooses Katarina to inherit her magic powers. Although being second-place to her sister is something Jasmyn has grown accustomed to, this rejection wounds her like no other. When sinister dragons appear along the California coastline, Katarina tries to stop them, but her spells fail. Her family discovers it is because she didn’t inherit all of their grandmother’s magic and that her grandmother split her magic between the two sisters. Now, Jasmyn and Katarina must work through their sibling rivalry to stop the menace. Can Jasmyn put her pain and resentment aside to wield her grandmother’s magic? The bond of sisterhood is strong, but so are powers of darkness. Thanks for visiting Tanya! So, ladies and gents, what do you think of Tanya’s dialogue tips? What’s your favorite way to make dialogue work? Recently, I’ve started to read a book. By all estimations, I should have loved it. The synopsis was awesome. The cover was beautiful. And I believe the person who wrote the book is talented. Problem is, I don’t like it. In fact, I’m struggling to get through the book because of one big issue. Don’t get me wrong. Dialogue is awesome. It serves a great purpose by the plot along speedily. It’s a great way to have characters bounce off each other. It’s a great indication of conflict between characters. But ONLY is used simultaneously with narrative. In other words. Unless you’ve written a play, don’t only use dialogue. Incidentally, even plays give us clues like: angrily. caustic. sing-song. etc. which give us readers a clue as to visualizing what’s going on. Even then, most plays are a lot harder to read than to watch. For a good reason. Dialogue, no matter how good, is dead if it doesn’t have description and/or narrative. See the thing with reading is that we aren’t “seeing” things the same way one would watching t.v. We need clues from the writing. So if there aren’t any, it “looks” like the characters are standing stiffly and talking. It “sounds” like the characters are speaking in monotone. Yeah. Serious stuff, right? Emotional dynamite. Except… it’s not. Because the reader has NO idea how the character’s feeling as they talk about it. And them saying that it hurts just doesn’t have as much impact as it could. Without these clues, the reader is lost. So let’s see how much the dialogue changes by adding some narrative. “I’m sorry.” Mike’s expression softened and he reached for me. I kept my distance, hugging myself instead. After all this time, I still couldn’t let someone share in my pain. If I went to him now, I’d break down. No. No one got it. Only people who lost people knew what true pain was. At least Mike acknowledged that he didn’t know. Unlike quite a few people who callously insisted that I get over the death of my first and only child. Immediately, the narrative parts give the dialogue depth. Now, we know the POV Character deals with some crushing pain at losing her child. We also see some sort of tension between her and Mike. He obviously wants her to be there for her, but she won’t let him. All this information in a neat dozen sentences. Firstly, it’s important to slow the pace down for important bits. Readers need to linger there, to absorb what’s going on. Secondly, if you really want to cut on the narrative, feel free, but never cut it out completely. Even if you only have brief flashes of thought, or mentions of facial expressions, actions etc. Those little bits you add could make the difference between a dead book and a sparkling one. Do you tend to write more narrative? Or are you a dialogue-heavy writer?